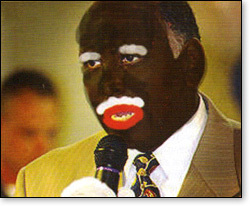 In opposition to black Republican Michael Steele's campaign to run for U.S. Senate, a liberal blogger published a doctored photo of Steele in black face and big red lips made to look like a minstrel. The caption read, "Simple Sambo wants to move to the big house." Not one Democrat denounced these racist portrayals of black conservatives. And yet, a sign seen at a tea party depicting Obama as a witch doctor is considered by the Left to be beyond the pale and obviously racist. Why is the Left, given their track record of bias, granted final authority to determine the intent of a sign? Why do we conservatives so quickly and easily allow ourselves to be put on the defensive? The rules set by the Left are extremely clear. Racist images of black conservatives and negative images of Bush are fair game. Even a play about murdering President Bush was called "harmless art." Meanwhile, all unflattering images of Obama are racist, and constitute dangerous, potentially violent, hate speech. New York Times columnist Maureen Dowd called Congressman Joe Wilson a racist for saying, "You lie" to president Obama. Using her psychic powers, Dowd said Wilson was really saying in his mind, "You lie, BOY!" And yet, liberal commentator Julianne Malveaux, saying she hopes black conservative Supreme Court Justice Clarence Thomas' wife "feeds him a lot of fatty foods so he will die early from heart disease like many black men", was not considered racist. 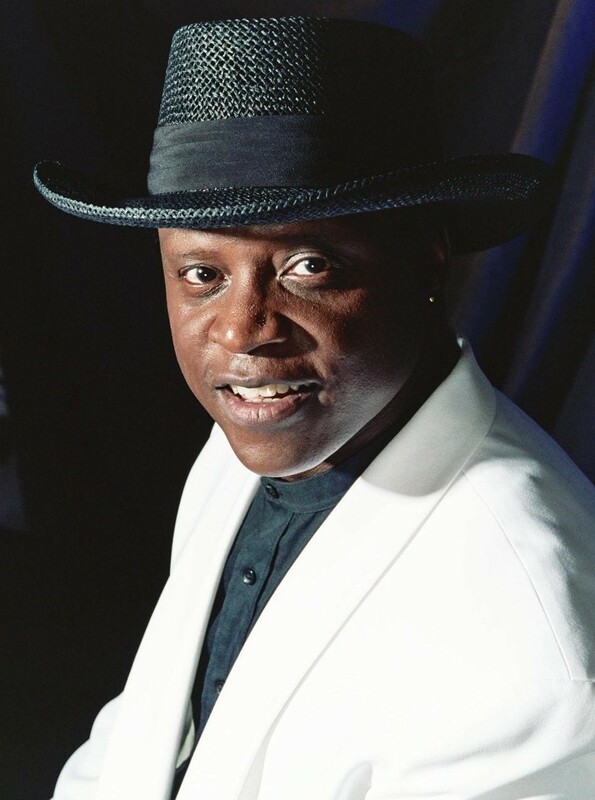 I am a black conservative singer, songwriter, entertainer and columnist. Liberals have posted comments all over YouTube and C-Span freely using and calling me the "N" word. Because they are libs and I am an uppity, off the liberal plantation, run-away black, all tactics to restore me to my owners are acceptable. I was asked to perform at a tea party event. The organizer informed me, "I want to get away from calling the rally a "Tea Party" because the liberal media have made the term negative." I said, "Does this mean you do not want me to sing my "American Tea Party Anthem"? Then, why am I here?" Politeness to my host prevented me from saying, "News flash, pal! The media is going to trash us regardless of what we call our rallies. It's what they do. They are not on our side. Should we keep changing what we call the rallies in hope of finding a name which will cause the media to give us fair coverage"? A million people showed up in Washington DC for the September 12th Taxpayers Rally. The media reported 70,000. News1News posted my CNN interview on YouTube with the following caption, "African American Right Wing (Obama Hating) Singing Tea Bagger, Lloyd Marcus." Folks, I am a Christian and hate no one. But, this is what the media does to those who disagree. All who oppose Obama's agenda are either racist, redneck or stupid. My black 82 year old dad told me he has seen the reports on TV how a lot of people at the rallies want Obama dead. I said, "I bet you saw that on CNN." Dad said, "Yes." It infuriates me that CNN is selling the lie that the Tea Party Movement is all about racism and hatred for a black president. While my dad never said anything out loud, I thought, "What must he think of me? Why is his first born siding with these evil white folks against a fine fellow black man?" I replied, "Dad, try watching Fox." Lloyd Marcus, Black Unhyphenated American!